College paper doll, I believe. Actually, I’m certain it’s a college paper doll, because I distinctly recall drawing her while sitting at a very large table and playing Dungeons and Dragons. I’m not sure which is more geeky- the paper dolling or the D&D playing… Hard to say really. I went through a phase of drawing lots of paper dolls wearing knee high boots and thigh high stockings. I’d say I’ve gotten over it, but I haven’t really. I just came to dislike the limitations it put on their colothing options. 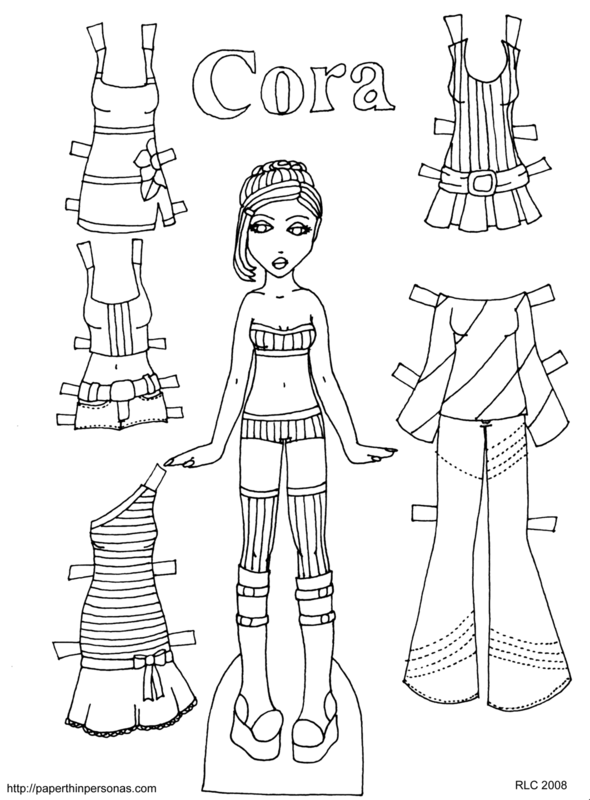 It is odd to think that I probably drew this paper doll seven years ago. My art is still improving, but I have a long way to go before I feel totally comfortable about where I am. By the way, I wanted to thank everyone who sent me such lovely links during my search for Native American paper dolls. I need to go through them carefully, but I hope to have a better post on the topic with a little lest annoyance and a little more substance before the end of November, but it probably won’t happen until December. I like her, she’s cute! Like how her bangs are. Her bangs are my favorite part too.